Updating your bathroom can be a bit tricky. From deciding how much do you need to change to what is the least you can do. 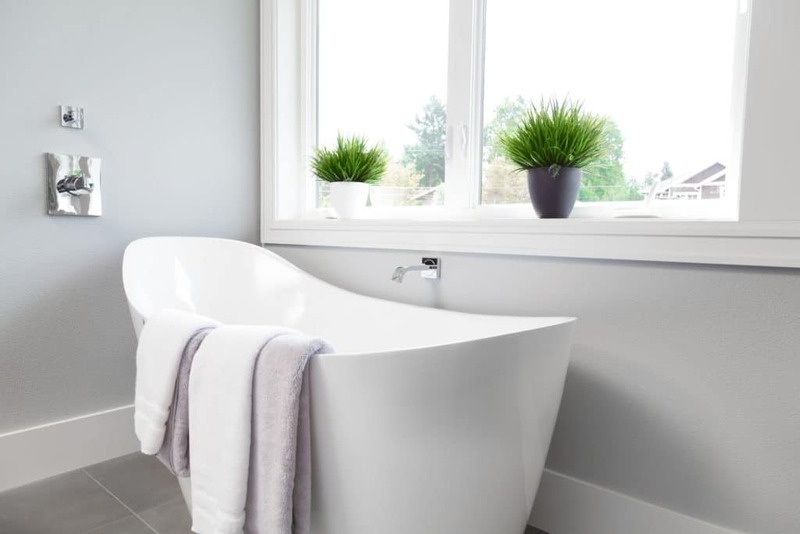 There are three easy tips that can help you make your bathroom feel more modern. These range from the very easy to the more dramatic. C & L Plumbing Supply Co. Inc. has experience working with El Paso bathrooms and can help you create a beautiful, modern space. Painting the walls can make a huge difference in your bathroom. At the moment, some very popular colors are grey and dark blues. These color are meant to accentuate a feeling of calm in the room. If you have a bathroom with lots of lighting, then definitely go for a bold color. If you’re not sure you want to paint with such colors, or just prefer the color your bathroom currently has, then consider adding tile. Tile is a great way to experiment with color and not feel overwhelmed. Having a backsplash over or around tubs is gaining popularity as it can help accent your room with fresh color. Changing your water fixtures is an easy way to update your bathroom. The sink and tub faucets are a good place to experiment with different styles. Long curving facets are very in right now, as are handle controls. If you do not like this style, then consider facets that are open-ended. These types mimic the sound and look of mini waterfalls. The idea is to add a feeling of peace to your home. When you hire a quality plumber to help update your bathroom, they can help you find the perfect faucets for sinks and tubs. Replacing your old bathtub is a way to drastically change your bathroom quickly. There are a variety of tubs available that can make the bathroom look very modern. One style of tubs is freestanding or claw foot tubs. These designs tend to be oval, and high backed. This design gives the bathtub an old school vibe, but sleek enough to be modern. These are very good options if you want to make your bathroom feel more modern. If you are looking to update your bathroom to a more modern feel, then pick C & L Plumbing Supply Co. Inc. They can help you with tubs, sinks, toilets and other fixtures for your bathroom. They have already helped many homeowners in the El Paso Area update their bathrooms, they can help you too. Call us today for a quote.